Do You Know Your Agency's Most Profitable Lead Source? What is your best lead source? Do you know the answer to that question? If not, you could be placing resources into unprofitable lead sources, or you might be underestimating historically successful lead sources. The only way to know the answer to that question is to track your lead sources for every lead that comes in. Some agencies write the lead source on the lead’s paper file or notes, and some add a “Lead Source” column to their Excel spreadsheet containing their leads. But, these tactics don’t lend themselves to much analyzation past filtering by lead source in your Excel sheet or sorting your papers out. The best way to track and truly analyze your lead sources is to store this information within an agency management system (AMS). 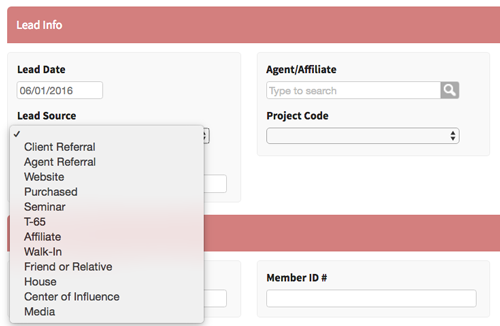 As you can see below, an AMS like AgencyBloc allows you to assign a lead source to each lead that comes in. Here you can see a list of this agency’s custom terms they use as lead sources. I’m tracking lead sources. Now what? Now you can get smart about your marketing. By looking at lead sources for your individuals and groups, you can identify what’s working and what isn’t. From there, you can make smart business decisions. 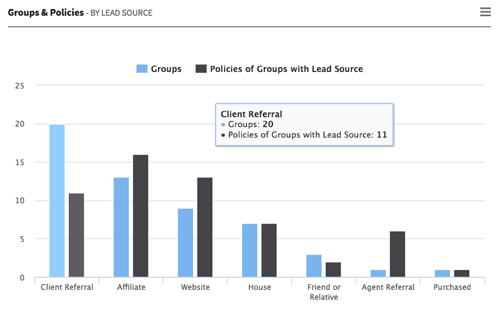 Here, you can see that this agency’s client referrals have brought them into contact with the most groups, but affiliates or partners have actually delivered the most sold policies in the end. What can you do with this information? Make tweaks or changes to how you’re gathering and acting on leads. For example, this agency might want to look into why client referrals aren’t becoming clients at a higher percentage. 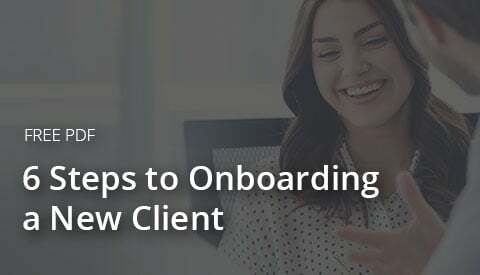 Maybe there are some steps they can do to remedy that like being sure agents are receiving notifications or activities immediately or setting up an automated email to send to client referrals to immediately reach out. With this insight, you can put your marketing dollars and resources into the lead sources that you’ve seen to be worthwhile. And, you can address communication issues like the example above when you see contacted leads aren’t converting at the rate you’d like. What should my lead conversion rate be? This will vary across agencies based on type and size, but there have been studies done to calculate an industry standard. The Financial Services & Insurance Industry standard conversion rate is 18.3% for reference. Identify which lead source “channels” are performing at a high rate and which are performing at a low rate compared against the resources your agency uses to maintain them. For example, you might be putting a lot of resources into your website when it isn’t bringing in many leads. Where potential buyers are coming into contact with you and, then, where they’re dropping off. We’ll use the website example again. Maybe you’re getting a lot of traffic to your website, but you aren’t seeing leads coming in from it. This could be because your website is hard to navigate or because your contact form is hard to find. Or, maybe your services aren’t front and center, so buyers aren’t sure what you could offer them. 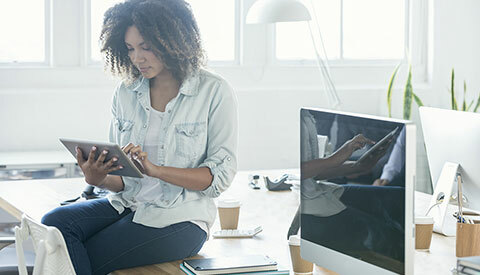 If this situation is sounding familiar, check out this blog detailing what to include in your insurance agency website. Evaluate how well you’re reaching the audience you want to. Tracking your lead sources and analyzing the results can help you understand the audience you’re reaching and what tweaks you may need to make depending on your target audience. 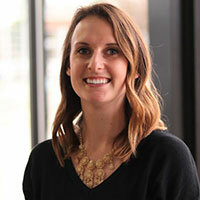 This is especially important for agencies selling several coverage types because you might discover that leads for different coverage types look vastly different, and the selling approach will, in turn, need to be different. The best standard to measure against, however, is your own historical data. Tracking how your conversion rate is doing each year will help you set goals to raise the percentage. That’s why it’s best to get started immediately with your lead source tracking and analyzation. Even if you aren’t tracking leads yet, it’s never too late to get started. 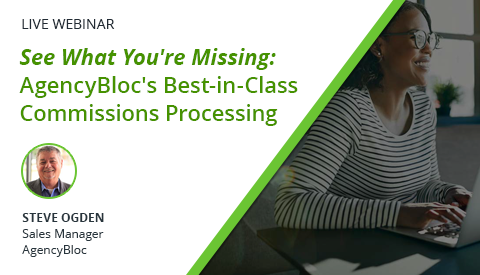 If you’re interested in seeing how AgencyBloc can help track and analyze your lead sources so you can begin making smarter decisions, schedule a live, 1-on-1 demo to discuss this and any of your other agency needs. To learn more about data analyzation beyond lead sources, check out this webinar we hosted with an insurance agency who is currently using data analyzation to monitor their growth and productivity: [On-Demand Webinar] How to Use Your CRM to Make More Informed Business Decisions. In this webinar, you'll learn what information can be tracked in an AMS, how your agency can improve with this insight, and how to get your hands on the technology.